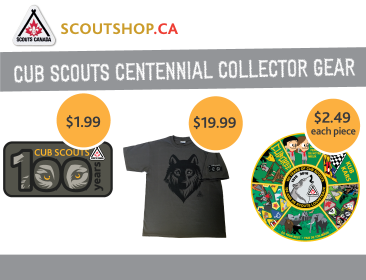 In December 2016 and throughout 2017, Cub Scouts from across Canada and around the world will come together to celebrate an amazing milestone: the 100th anniversary of Scouts Canada’s Cub program. In addition to Promise Parties, Cub Scouts are encouraged to participate in activities that fulfill the six program areas that make up The Canadian Path: Environment and Outdoors; Leadership; Active and Healthy Living; Citizenship; Creative Expression; and Beliefs and Values. 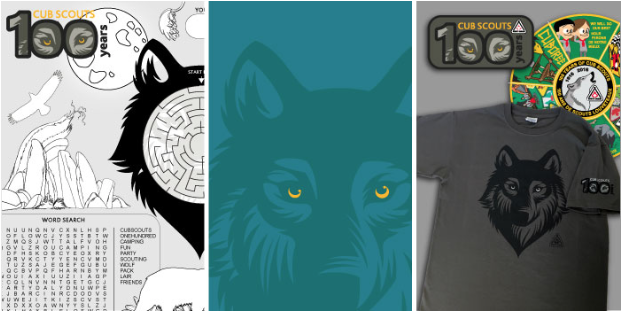 With so many ways to get in on the anniversary celebrations—from Promise Parties, to playing games made popular over the first 100 years of Cub Scouting life, to writing letters that share your centennial excitement with penpals across Canada and around the world—we know you’ll want to howl right along with us! And don’t forget to share pictures and stories of your 100 Years celebrations! 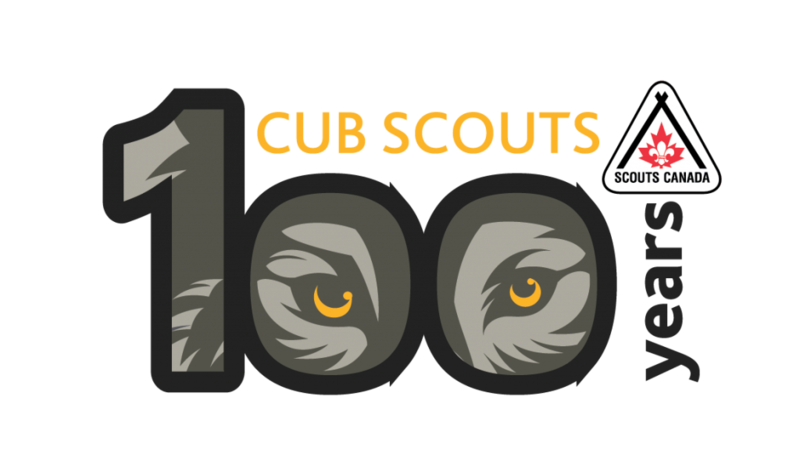 Post your pics to Twitter and Instagram @ScoutsCanada and use hashtag #Cubs100 to share in Adventures from around the world. Scouting in Canada crosses generations, with sons and daughters of past and present Scouters and Scout Leaders continuing in the tradition of legendary adventurer, Lt. Gen. Robert Baden-Powell, who set off with a group of youth to an island camp in the UK in 1907 and later founded the organization (then known as Wolf Cubbing) in 1916. Over 100,000 members nationwide participate in local Scouts groups, representing every faith and culture, in more than 19 languages that reflect Canada’s multicultural landscape and communities, and as of 2016, we’re recognized as our country’s leading organization that offers challenging programs where youth between the ages of 5 and 26 can discover the best in themselves and others. One Hundred Years of Doing Our Best!